Yarn Type Spun for Sublime in Italy from a beautiful blend of bamboo sourced viscose, merino wool and silk. It is a truly exquisite yarn that comes in a palette of stunning colour effect shades, including rich sumptuous colours, as well as soft powdery hues. 39% Bamboo sourced viscose 31% Merino wool 30% Silk. 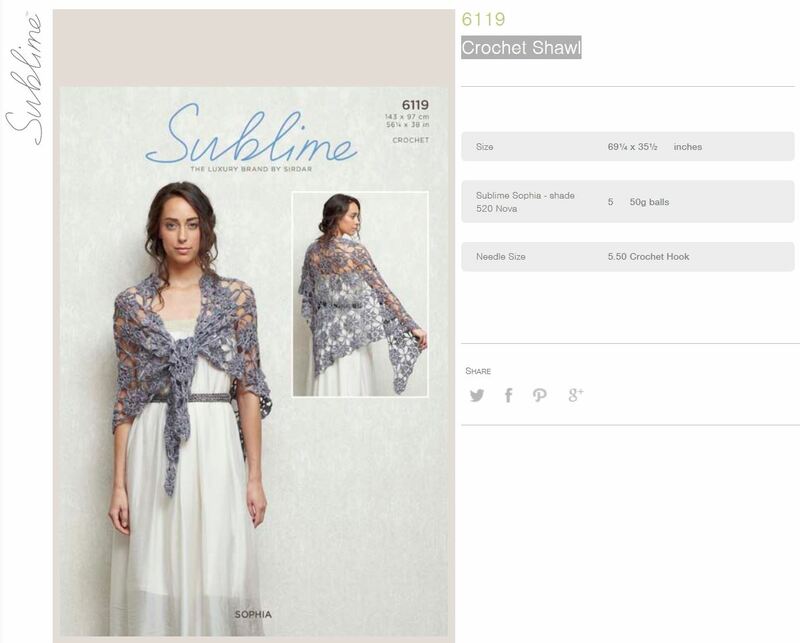 Cool Hand Wash.
Leaflet with designs for a Crochet Shawl using Sublime Sophia. 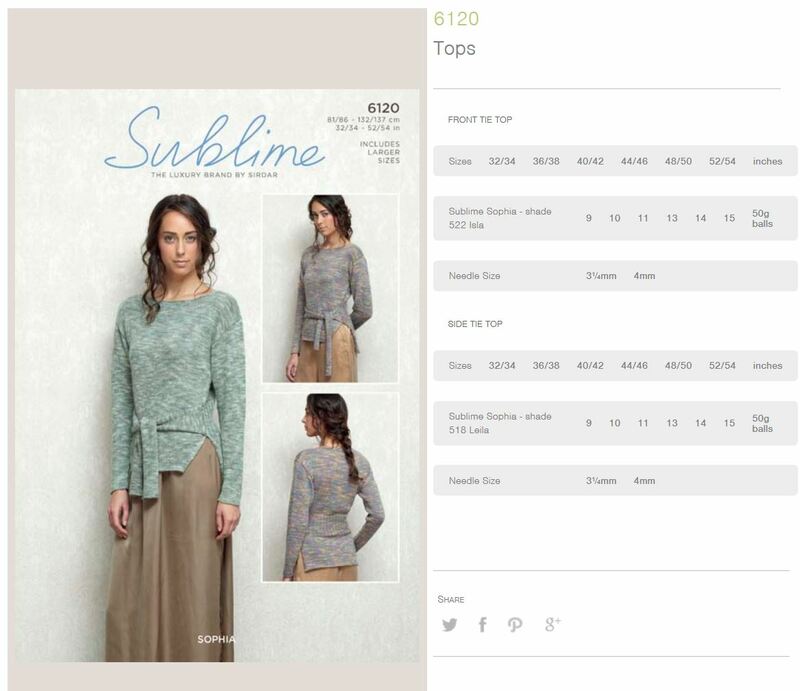 Leaflet with designs for Tops using Sublime Sophia. 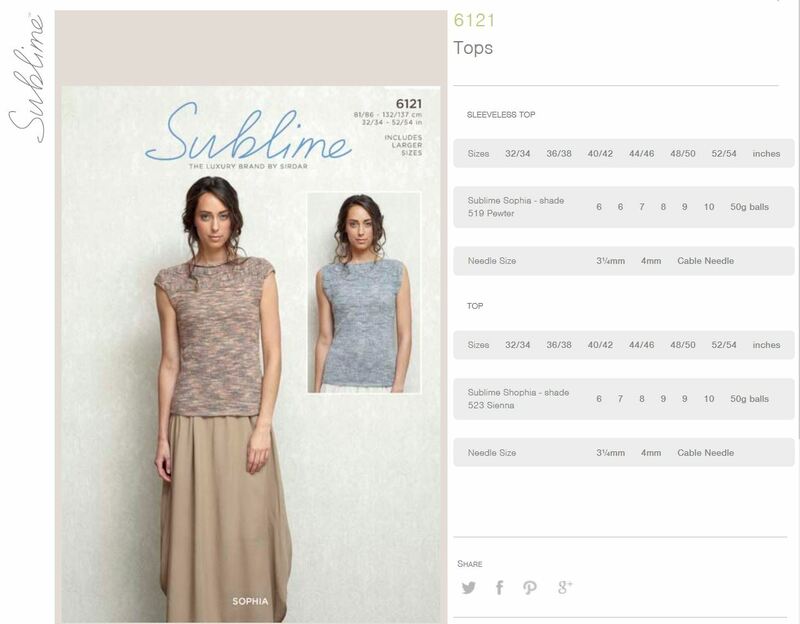 Leaflet with designs for Sleeveless Tops using Sublime Sophia. 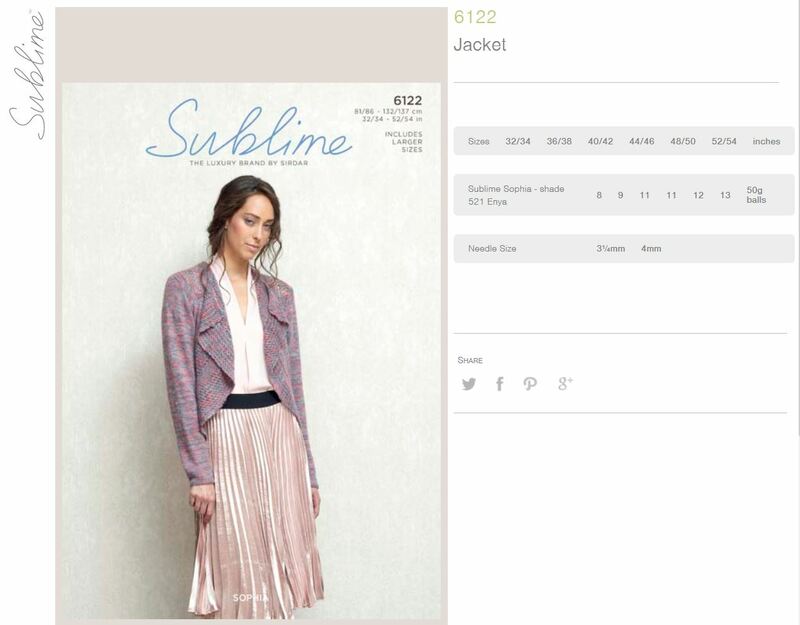 Leaflet with designs for a Jacket using Sublime Sophia. 16 designs for women knitted in Sublime Sophie. We regret that this book is now out of print and have no more stocks. We will be happy to send a copy of any design (free of charge) with any Sophia yarn purchase.